10 more arriving 4-May-2019 eMail us to reserve stock. 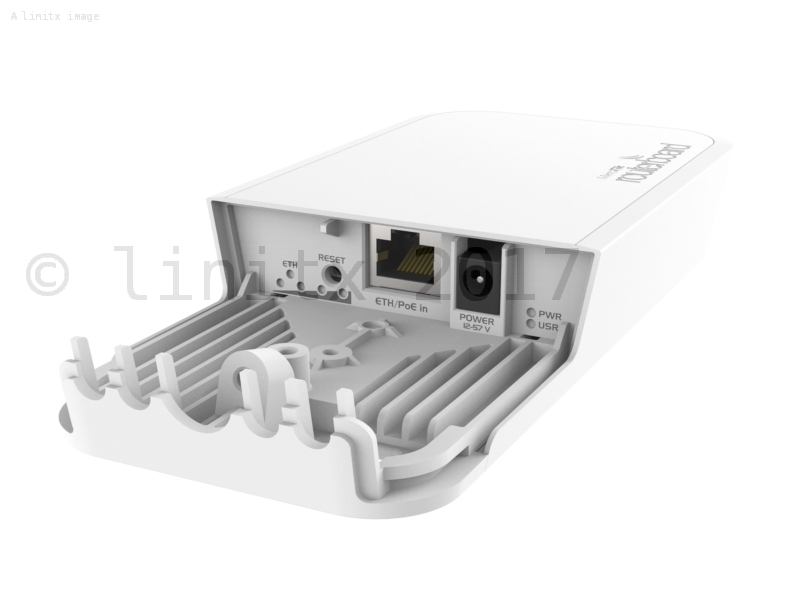 The Mikrotik Wireless Wire ( for outdoor / indoor use) is a new ground breaking network solution, offering fiber speeds and quality for a fraction of the price. 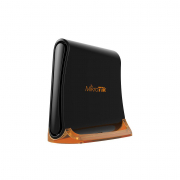 The RBwAPG-60ad kit replaces your Gigabit ethernet cable with two slim form factor devices that connect to each other over a 60 GHz wireless link. This 'plugn' play' kit need only be pointed at one another and powered on, it will make a 1 Gbit full duplex link to instantly replace your cable. 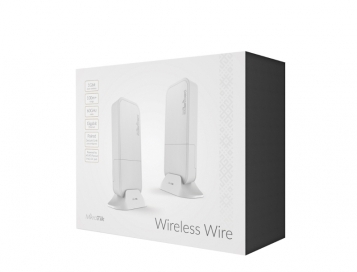 The Wireless Wire makes a secure AES encrypted 60 GHz wireless link that is not affected by the crowded 2.4 and 5Ghz WiFi spectrum, offering a stable and fast link for distances of up to 200 metres. Connections are possible at greater than 200m but speeds will reduce, typically 300 Mbps should be possible at 250m but 60GHz is affected by atmospheric conditions, and the link may not be stable. 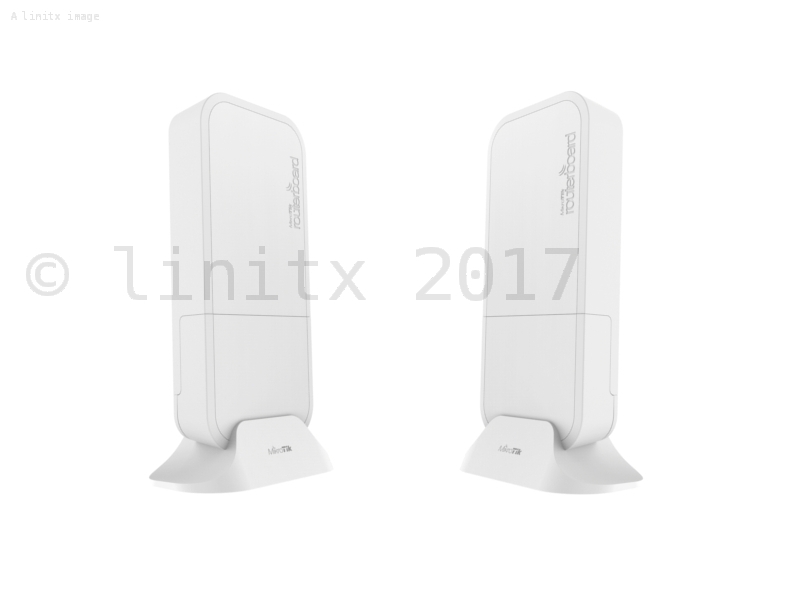 The box includes two wAP60G devices that are already paired together, a wall mounting kit, straps for pole mounting and a pair of table stands for using the devices indoors.